sonnen, an eCAPITAL portfolio company and the global market leader in smart residential energy storage, has partnered with Pearl Homes, the U.S. leader in LEED residential development, to bring the vision of solar + storage, home automation and homebuilding to life, resulting in a 'Net-Zero-Plus and Climate-Positive' community. 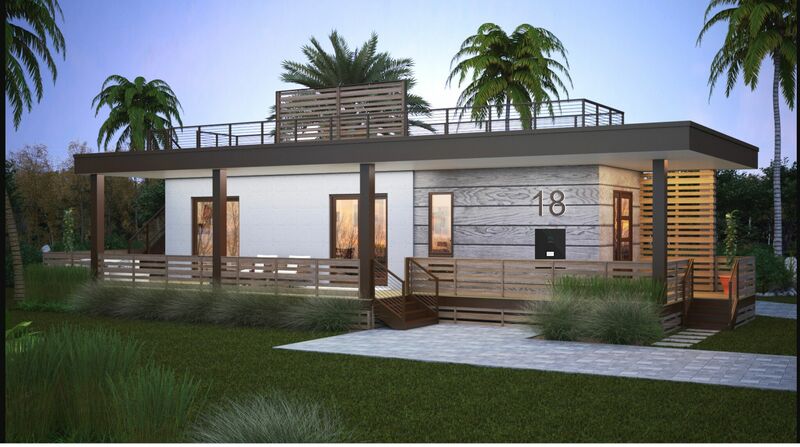 The second sonnenCommunity to launch in the U.S. market will be installed at Hunters Point in the small fishing village of Cortez, FL. It is comprised of 148 homes pursuing LEED Platinum certification that empower residents to be pioneers in energy and join a movement creating net-zero energy communities. Each home will be equipped with rooftop solar panels, a new and affordable sonnen energy storage system designed for mass market appeal, a smart thermostat and an EV charger – all controlled by way of sonnen's powerful new energy automation and artificial intelligence (AI) software platform. Hunter's Point sonnenCommunity represents the first time an energy storage system has worked in concert with Google Home in a master-planned development, capable of maximizing the intelligent use of each household's renewable energy. In initial tests, it was determined that the already-built homes are generating approximately 96% of their own clean power, with the goal of being fully net-zero. In total, the Hunter's Point sonnenCommunity projects represent 9MWh of storage capacity and 7.2MW of power. Following the installment of the first 148 homes, Pearl Homes will commence a second development comprised of 720 apartments, making additional living options possible for those who don't currently own a home, but wish to make a difference for the environment. It will be the first net-zero rental community of this size, with cost-affordable pricing designed to provide people of varying income levels with the opportunity to live in a greener residence. "We are thrilled to partner with Pearl Homes, the unparalleled leader in building LEED Platinum homes in the U.S., as we upend the traditional homebuilding vision and replace it with one based on decarbonizing the grid and establishing a complete solution for green living that is affordable for a much broader market," said Blake Richetta, Senior Vice President and head of sonnen's U.S. operations. "Together with our partners at Pearl Homes and Google Home, we are effectively demonstrating the intersection between renewable energy, home automation and homebuilding, establishing a blueprint for the affordable clean energy home of the future." The first-of-its-kind community is designed to decongest the wires of the local utility grid, providing load- shaping throughout the day to support intelligent demand management; establish smart configurable backup that provides resiliency and peace of mind for homeowners in the face of storms and other natural disasters; and the ability to live a cleaner lifestyle than any other development in the country. Download picture: This is how the first houses in Hunters Point will look like.